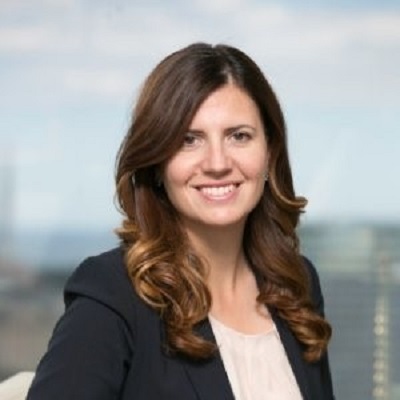 With almost 20 years of experience at Chubb, Ms. Robic currently has broad operational responsibility for the company’s Personal Risk Services (PRS) division throughout North America. Her role includes management oversight and accountability for the key areas that make up the PRS operation; Sales & Distribution, Product Management, Client Segmentation, and Underwriting. As Chief Operating Officer of North America Personal Risk Services, Ana is charged with enabling profitable growth and client retention strategies in all regions, execution of tactical sales efforts and engagement with key distribution partners. In her prior role as Executive Vice President and Commercial Insurance Regional Manger, she was responsible for the commercial insurance business for Chubb Canada. The role included oversight and accountability across all areas of product development, distribution, service, technology, staffing and underwriting integrity. This also included responsibility for financial lines for middle market commercial companies and commercial program business. During her tenure in the region, Ms. Robic was also appointed to the Board of Chubb Insurance Company of Canada, on which she continues to participate. Ms. Robic has held a wide variety of commercial underwriting and management positions in several branches and the Canadian Underwriting Center. She has also provided leadership across multiple lines of business and industry segments. She has led the Excess & Umbrella division for the region along with Environmental underwriting. She has established expertise in the manufacturing segment and in the technology industry. In all her roles at Chubb, Ms. Robic has been known as an engaging and transformational leader. She regularly mentors staff across various departments and prides herself in being an externally facing leader with significant marketplace engagement. Ms. Robic holds an Honor Bachelor of Arts degree in Economics and Political Science from Queen’s University.